gq, march 1964: mr. cary grant. GQ got its start in 1931 under its original name of Apparel Arts. The name was changed in 1957 to the Gentlemen’s Quarterly title it carries today. 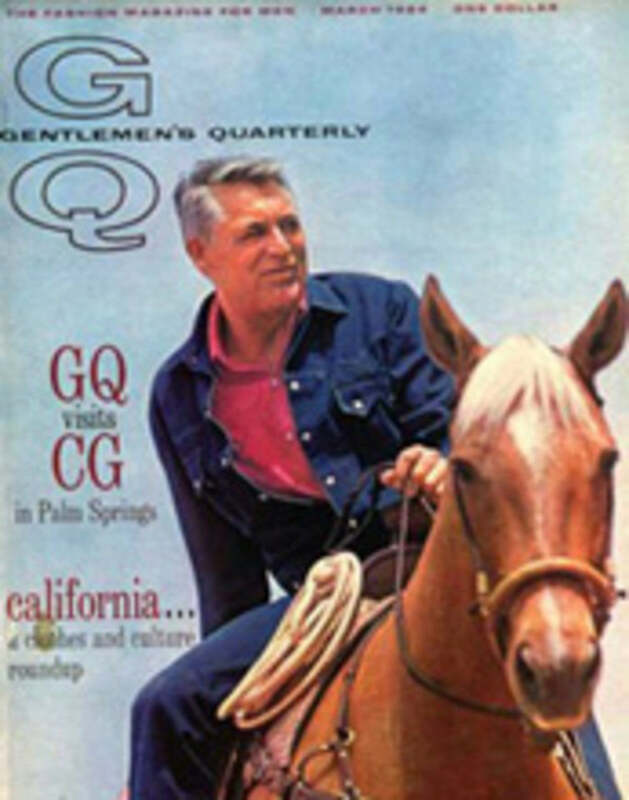 Forty six years ago this month, the March 1964 issue was dedicated to California style – “a clothes and culture roundup.” Love the cover with Mr. Cary Grant in the saddle on his ranch in Palm Springs. His unfortunate use of matching denim on his jacket and jeans is certainly questionable, but come on… It’s Grant. On a horse.